In Cradle to Cradle, Michael Braungart and William McDonough ask people to rethink the way things are made. Rather than recycling things designed for single use like plastic bottles and newspapers, which is detrimental to the environment (downcycling), he suggests that we manufacture items from ingredients designed to be reused multiple times without harming the environment (upcycling). Being a papier-mâché artist, which is all about recycling, I should hate these two guys because they aim to put me out of business. I do not. Instead, I tore a page from their book. The title of the Introduction to Cradle to Cradle is “This book is not a tree” because it is made from some fancy substance instead of paper. This called to mind a painting by the surrealist Magritte entitled “Ceci n’est pas une pipe” (This is not a pipe) because it is a painting of a pipe, not the pipe itself. With the advent of photography, artists began to question the need to paint things that looked like things. Et voilà, abstract art is born. 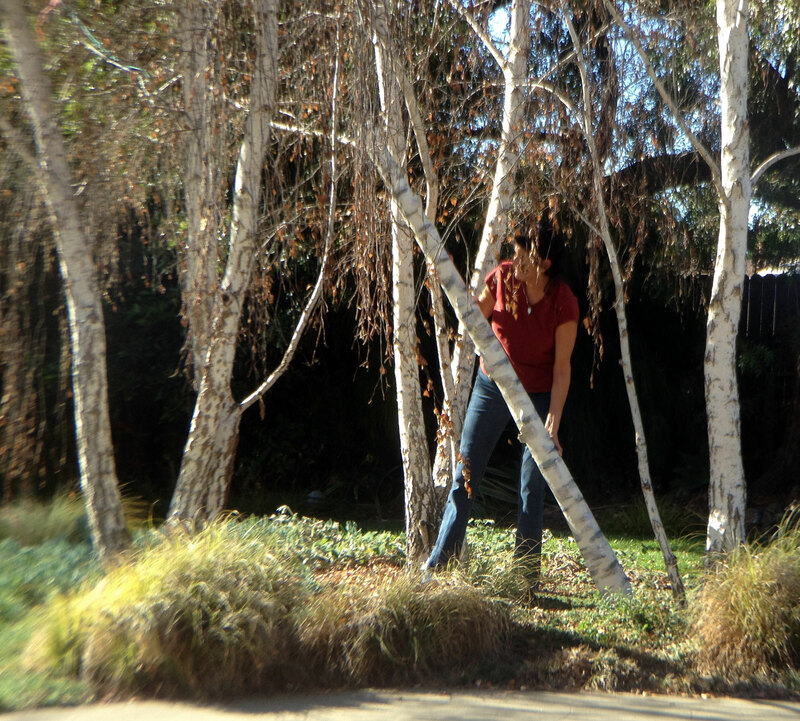 With these two ideas rattling around in my brain, I decided that I wanted to create a forest of paper-bark birch trees that morphed from the literal to the abstract. From the concrete to the insubstantial. 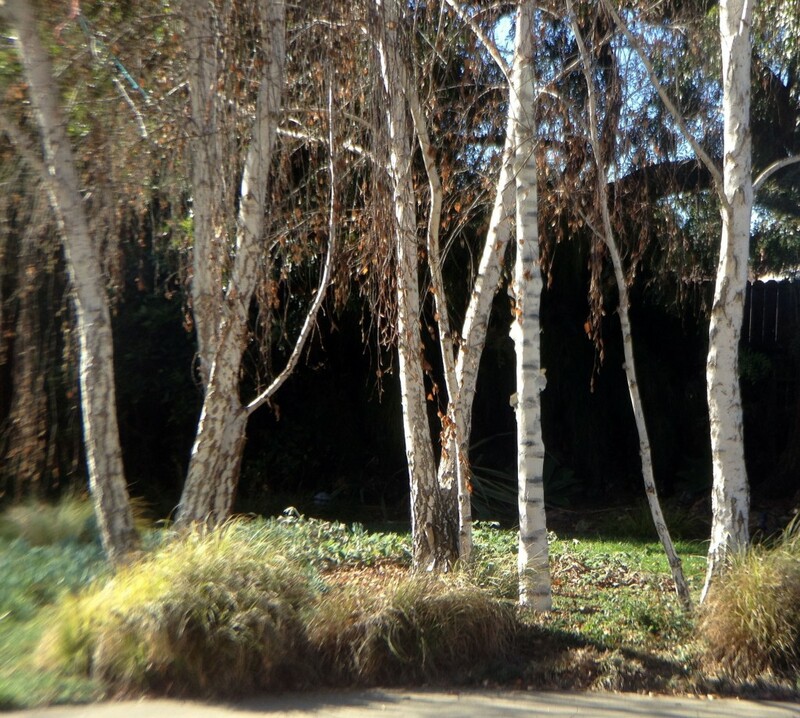 If all goes as planned, it will be the Vanishing Forest. 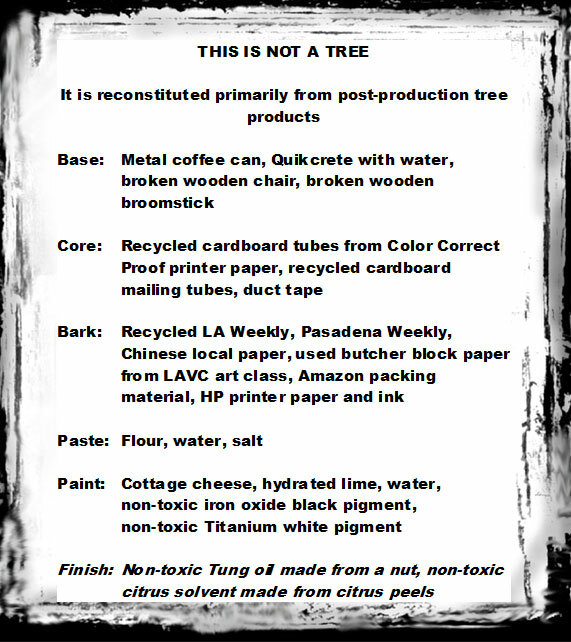 Taking it one tree at a time, I started with the literal called “This is not a tree”, which is created almost entirely from post-production tree products (see the list of ingredients). 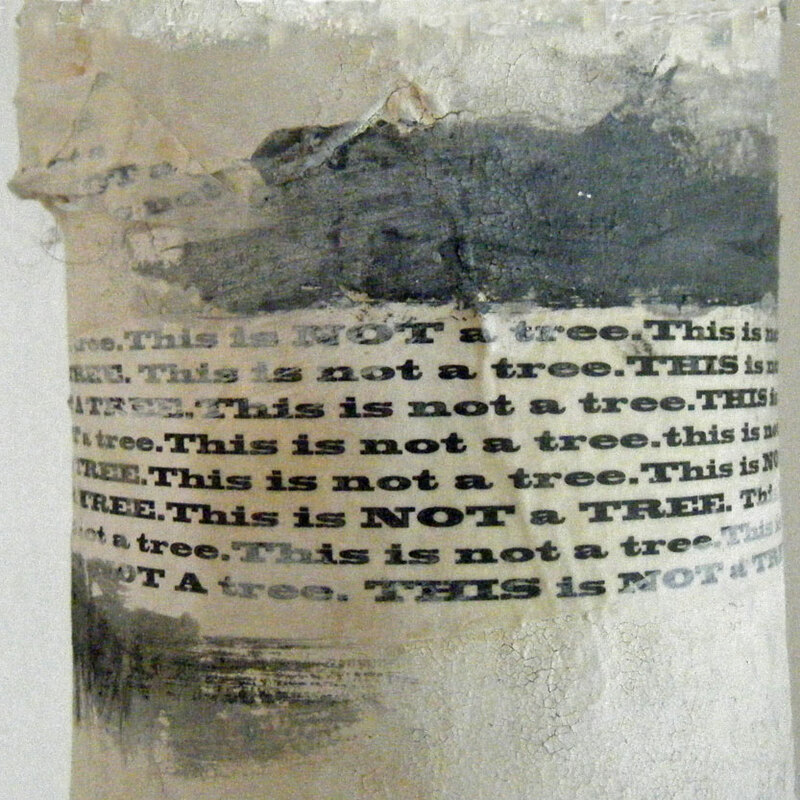 I printed out “This is not a tree” a million times and decoupaged it on to the trunk.